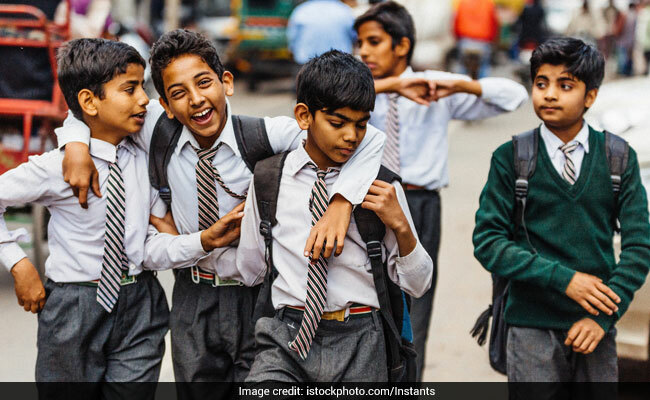 As many as 616 schoolchildren will be performing at the upcoming Republic Day celebrations in the national capital, the Directorate of Education said on Monday. Three schools have been selected by the Directorate of Education and the Defence Ministry to perform at the function and children from East Zone Cultural Centre will also be participating in the event, DoE Assistant Director Romi Johri said. The theme of this year’s celebrations is principles of Mahatma Gandhi. “As many as 616 boys and girls will be performing at the upcoming Republic Day celebrations. Preparations for these performances has been going on for nearly three months,” Ms Johri said. RPVV, Kishan Ganj; Navy Children School, Chankyapuri; Kendriya Vidyalaya, Paschim Vihar and Eastern Zonal Cultural Centre, Kolkata will be the four schools participating in the event. Students of RPVV Kishan Ganj will be performing on the theme of ‘Ahimsa’ or non-violence, while 170 children from Navy Children School will perform on ‘Jai Ghosh’ – an acclamation of faith and assurance in the principles followed by Gandhi, the DoE assistant director said. As many as 152 children from Eastern Zonal Cultural Centre in Kolkata will participate in the event. They will highlight the principles of cleanliness and non-violence through their performance, Johri said. The students from Kendriya Vidyalaya in Paschim Vihar will perform on Gandhi’s famous bhajan ‘Raghu Pati Raghav Raja Ram’, she said.